In this coming of age novel, Lettie and Bert squeak by in a tiny town on Cape Cod, one parent an alcoholic and the other absent. 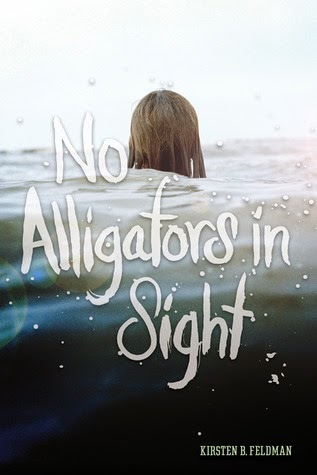 After a string of bad decisions on Lettie’s part, their father ships them to their barely remembered mother for the summer, where they will learn hard lessons about themselves, their family, and their future by way of the Florida swamp. Throughout Lettie keeps her biting humor flowing, her razor-sharp pen at the ready, and her eye on her quest for a “normal” life. Leticia's mother abandoned her so long ago that she can't even remember what she looks like. Lettie and her brother have spent their childhood growing up with an alcoholic father, Joel. Life is less than perfect. Lettie has daydreams about what her mother will be like. When she's caught shoplifting, Joel decides maybe it's time for Lettie and her brother to spend a few weeks with their mother and see if the grass really is greener on the other side. Things aren't what Lettie expects. It's suggested to Lettie that she keep a notebook. The main story is surrounded by Lettie's daughter finding the notebook and having questions about it. This whole part was sort of boring and unnecessary to me. The main story is a strong study in human nature and growing up. Through Lettie's eyes, we get to see her lifestyle with Joel as well as her lifestyle with her mother. Everything is behind the scenes thinking, all from her point of view. Now, as readers we can sit back and see that every situation isn't always how one person perceives it, but Lettie hasn't reached the maturity yet to do that. She sees what she sees and that's all there is to it. She doesn't begin as a character with empathy or compassion. She's a normal teenager that feels the whole world is against her. As we continue to read, we watch Lettie grow and learn who she is. Not only that, we get to watch her realize that sometimes there's another side to the story and she doesn't always see things accurately. The best part is that she finally starts to realize her parents are human, not just failures at what she thinks they ought to be. Even if you aren't a 'character study' person, there's a lot to be found here. Not one of the adult characters has a clue about raising children. The cast of adults in Lettie's life is so unimaginable that I can't help but think there must be a grain of truth or reality that this was based on. There's plenty of drama and action to keep you entertained. Also, the story has a nice flow once you get past the beginning (the finding of the notebook by Lettie's daughter). It's easy to pick up and just enjoy. Actually, this is a great beach book. You can sit back and relax with it and then later do a little processing. I read this awhile back, and really enjoyed it. I liked the realistic approach that kept it dark, but funny at times too.